With three littles all under four, safety is a top priority. I’ve watched my kids sit on scissors, poke themselves in the body and mouth with scissors, and stick their fingers in the blades of the scissors just to see what happens. From what I gather from other Moms, my experience is not a unique one and the reason many parents hold off introducing scissors to their kids until they are much older. These scissors are my solution to getting my kids started cutting at a young age! 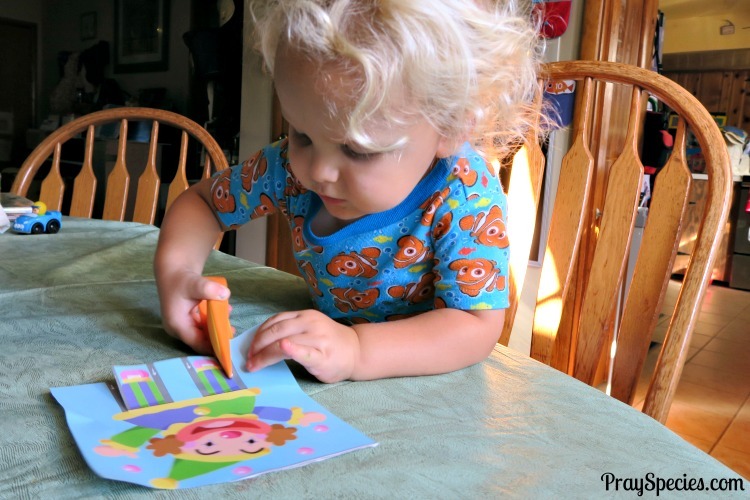 The benefits of fine motor development and independence are huge! I’ve been using My First Scissors purchased from Timberdoodle for over three years and with two different children. We’ve never had a problem with anyone getting hurt and that makes these my all time favorite first scissors! So, when Timberdoodle contacted me and asked if I would like to write a review, I was more than happy to share my thoughts in exchange for another pair of My First Scissors and a copy of More Let’s Cut Paper! These scissors also won’t cut yarn or string very well, which is a source of frustration for my daughter, but I typically have to help her cut those materials anyway. and cutting fun stuff like plastic straws or even weeds in the garden! 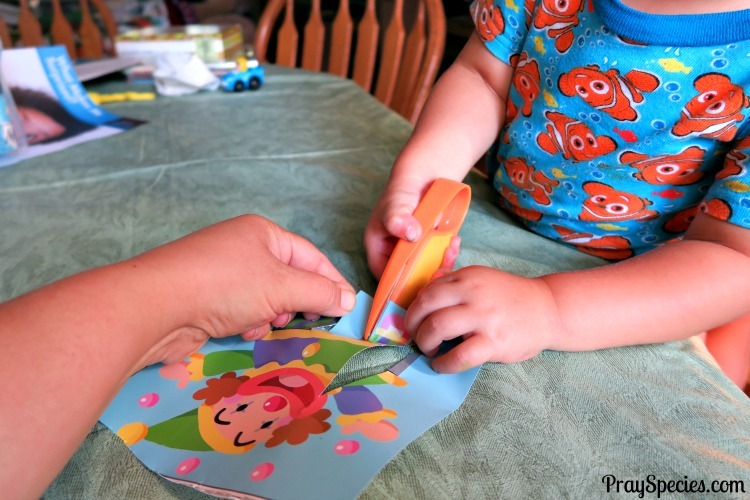 My kids love to cut and I love that I can let them do so safely with these scissors! 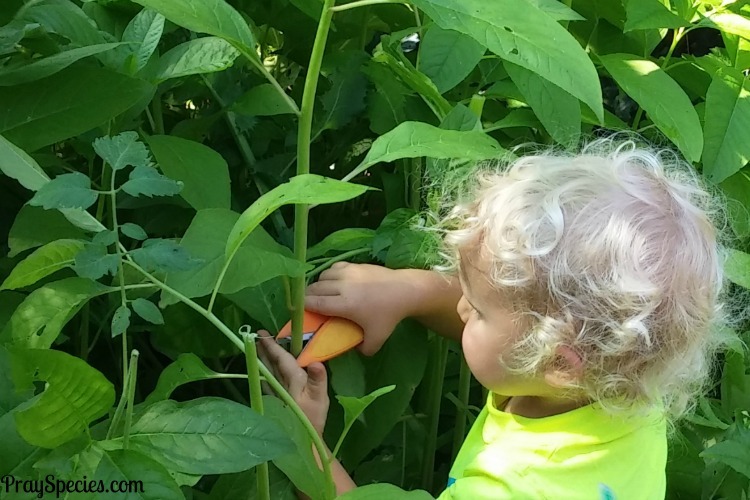 Turns out they are also GREAT for cutting weeds outside; a fabulous fine motor activity that requires NO prep work! My kids start by simply cutting paper in any way they want, while I cut out items for my own crafts. I typically offer them construction paper and card stock, both of which are thicker and easier to hold than regular, writing paper. When they start to express an interest in cutting out objects or shapes or express frustration that they aren’t able to stay on the dotted line, I introduce these books. 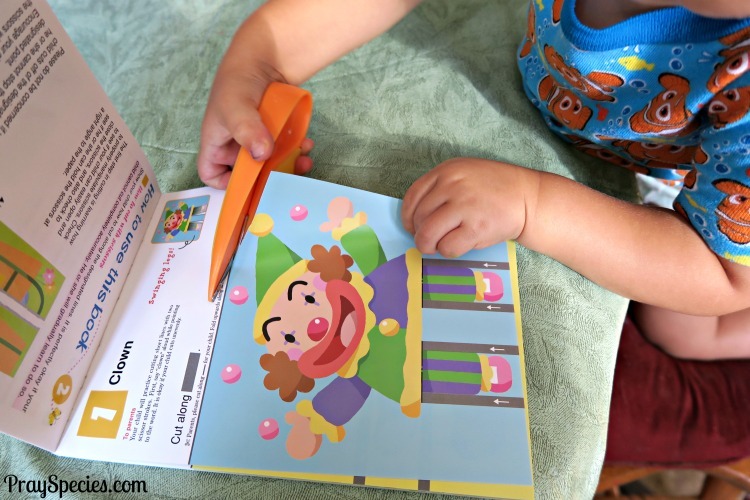 With simple to follow cues, Let’s Cut Paper offers simple cutting exercises in a wonderful and fun way to help kids develop their budding cutting skills. 1. I let the kids choose and cut out a page of the book. 2. The kids do as much as they are comfortable completing on their own. They often need help holding the paper still or correcting the angle of their scissors. 3. We admire what they’ve made; in this case a bear with movable arms that can hug. 4. They practice “free” cutting and chop the page up into little bits. In our experience, the scissors are safe enough that they learn without the risk of cutting themselves even with really little pieces. 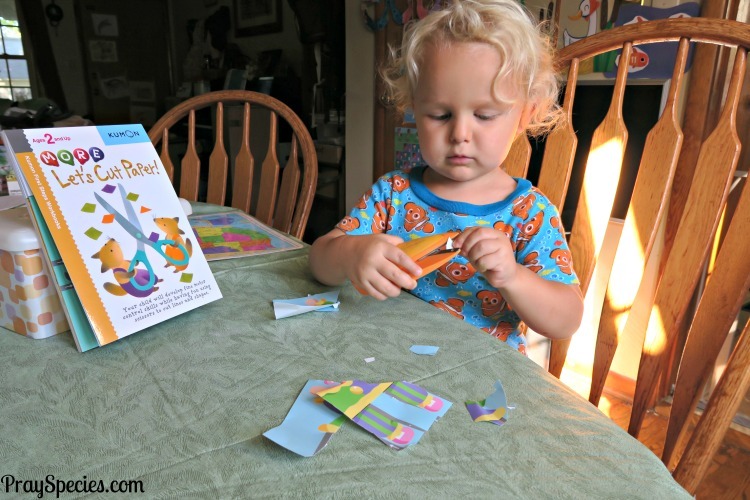 Kumon Let’s Cut Paper Books lets kids take their cutting to the next level. 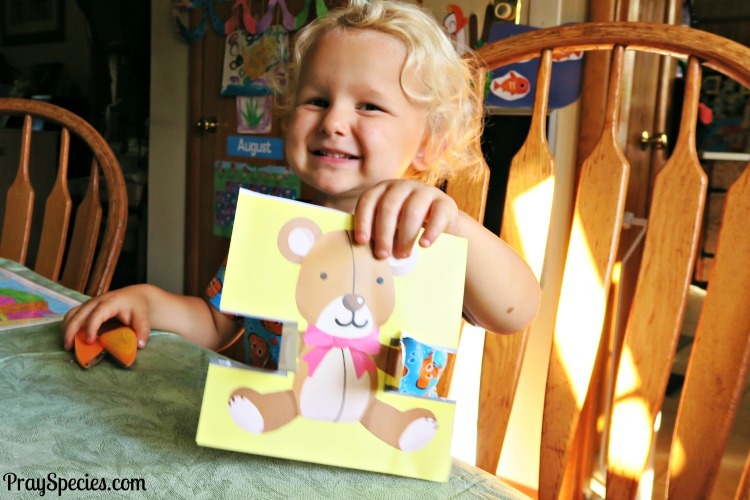 Not only do the kids get practice cutting a variety of angles, lines, and curves, but they are also given the opportunity to create puzzles, cut out shapes, and make moving parts. There’s also a Certificate of Achievement to give your kid at the end if you’re into that sort of thing. More importantly my kids have discovered the reusable drawing board on the last page, which they gladly use after the activities are all done! These activities are meant to be fun. It is NOT a big deal if they cut off the designated line. I simply help them correct and re-align themselves with the dotted line and we try again. We only do one or two a day to keep them excited about the activity and limit frustration as their hands and minds get tired. Gradually, I increase the amount of independence my kids have with holding both the paper and the scissors while they cut, but I always enjoy the activity with them. 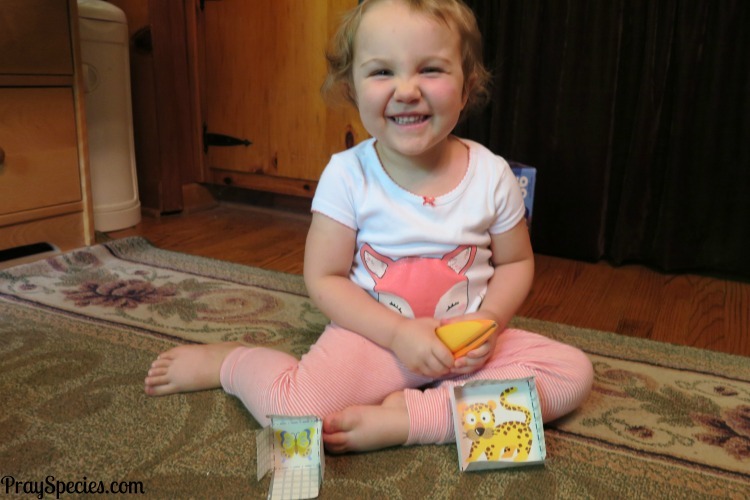 The books make for great involved activity time for our family! I always allow them to have “free” scissors time with the page after we complete the activity to let them independently practice their skills. Here are a few of the common concerns you may encounter when reading reviews of My First Scissors. My kids have been able to start using these scissors at around two years of age. Neither of my kids has large hands. Sometimes they will use both hands at first or scoot their hands a little closer to the blades, but I found this to be true with any of the scissors they used and these were the first ones they were able to use appropriately. These scissors are pricier than several alternatives from other sources; however, given how safe they are and how much use we get out of them, it’s completely worth it to me. We have only had one pair of scissors where the blade did fall off. This pair of scissors was used extensively to cut items outside and held up under abnormally intense conditions for several months before breaking. I have found these scissors to be sturdy when subjected to routine toddler play. There are two concerns I see from parents regarding Kumon Let’s Cut Paper. The pages aren’t perforated, you have to actually cut them out of the book. For us, this is part of the experience and the kids cut out their own pages with my help. 2. Some parents are concerned that two year old kids aren’t ready for organized cutting activities. On some level I agree, but the kids love these activities, learn more about how to cut, and still get plenty of “free” cut time. I don’t believe a parent should force a child to do these activities, but if everyone is having fun, I don’t see the harm in letting a child learn new things and more fully develop their fine motor skills. My First Scissors and Kumon Let’s Cut Paper are available separately or as part of Timberdoodle’s Preschool Curriculum Package! These books are meant for children two and up. My son is 2.5 years old and loves them. He frequently cuts off the line and requires lots of hand holding. My daughter is four and also loves them. She can do many of the pages on her own, but I often limit her to two pages a day, so she focuses on one project at a time. She also gets lots of free cutting time with plain paper, etc. 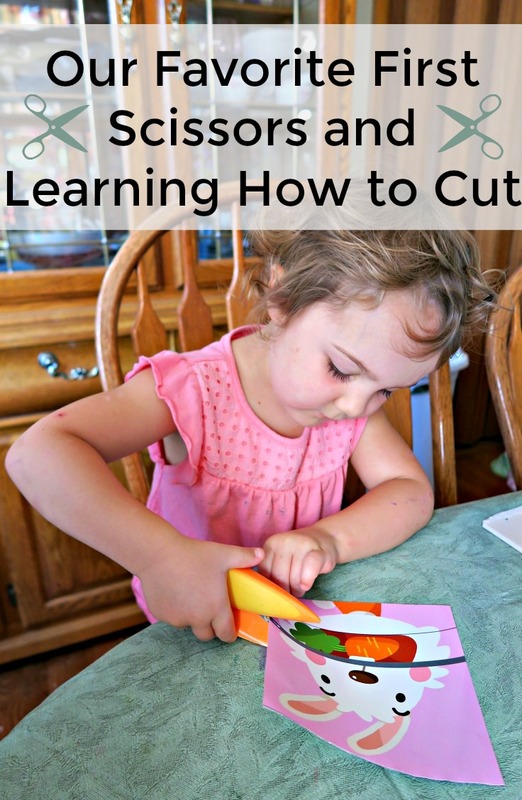 Do you have a preschooler learning to cut?